Our nation at the time, contrary to what the progressive socialists would have you believe, was not the nation that we have today. The individual states were adamant in holding on to the rights and powers granted to them in the Constitution. 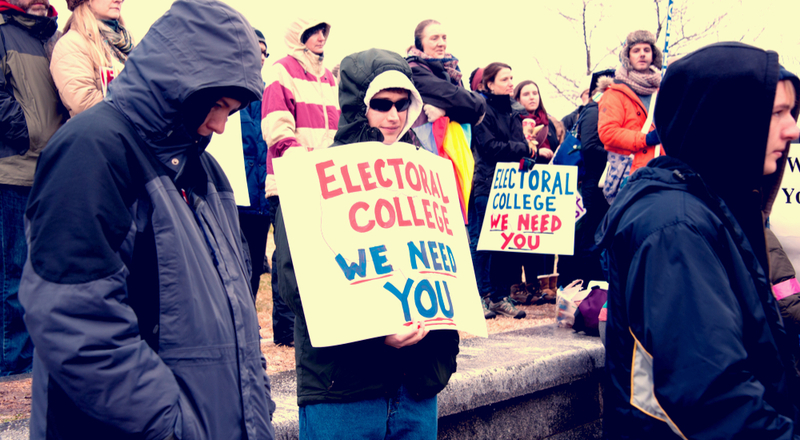 The Electoral College is the protection of both individual rights and majority rule, a “federalist system” that would keep policymaking power reserves for the states and local government. It was never the intention of those states to allow the national government to usurp those prerogatives. The national campaigns and wall to wall coverage and propaganda that course along our airwaves was never considered because they were never known. A point not discussed now is that the settlers who formed this union never considered the formation of national parties. John Veliseks’ new book “One Patriots Opinion- for the Forgotten Men and Women of America” is now available on Kindle/Nook. Patriots! It is time to fight back.